[Dalton] Emily Morrow Finkell, CEO and founder of Emily Morrow Home, announced at the recent CCA Global National Convention in Dallas that the 2018 color trend of the year is matte black. It is the new black that is garnering favored status on everything from as a top seller on everything from Apple iPhones and BMWs to home hardware and appliances like the La Cornue Ranges, she added. “One topic that audiences never seem to tire of is decorating trends. I make an effort to stay ahead of the trends by attending the industry’s international markets and symposiums,” Finkell commented. The matte black influence can also be found highlighting the Emily Morrow Home’s Suddenly Sonoma and Authentic Luxury all-American premium hardwood flooring. 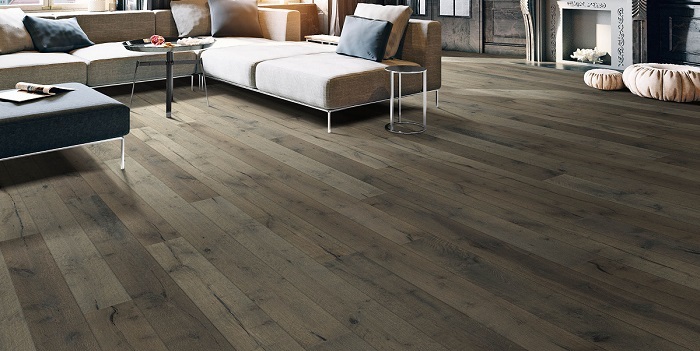 Like the name implies, the Suddenly Sonoma flooring is inspired by the Sonoma Valley’s sense of history and love of French oak barrels with matte black charring designed to reveal the white oak’s inherent strength and beauty. 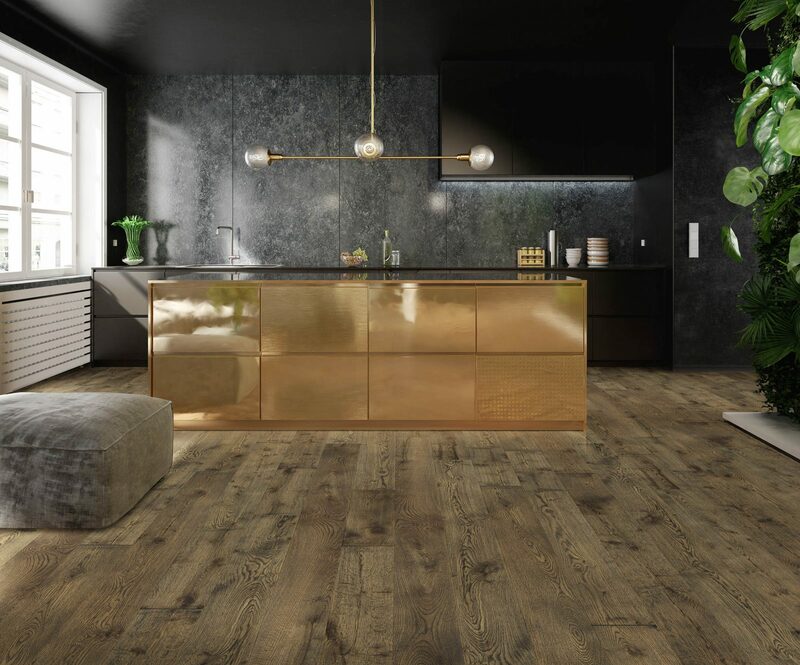 The Authentic Luxury flooring offers white oak planks carefully hand-finished and distressed with matte black accents to add to its inherent beauty and authenticity. The Emily Morrow Home flooring is constructed for superior durability and stability. It is dent resistant and can be installed over most sub-floors, including direct glue-down and concrete slabs. Visit Emily Morrow Home at www.emilymorrowhome.com to see the entire collection of hardwood flooring and curated home décor.